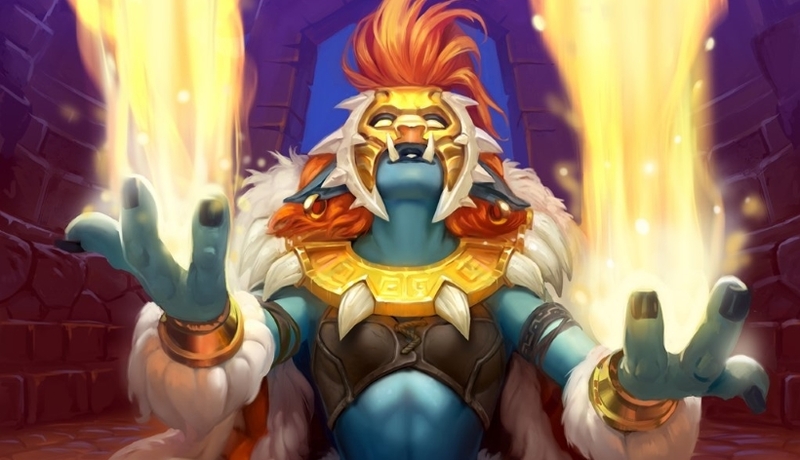 Our Immortal Paladin deck list guide features the best Rise of Shadows deck list for Season 61 of Hearthstone (April 2019). Our Immortal Paladin guide will be updated with Mulligan advice, card combos and strategy tips. Immortal Paladin is a Hearthstone deck that has an almost obsessive focus on a single minion: Immortal Prelate. This card is very unique as it’s reshuffled into your deck after it dies, while also keeping all the enhancements that have been cast on it. With all the buff spells available to Paladin, then, you can make a bulky minion that just won’t quit. There is one giant flaw in the plan though: Silence. If your Immortal Prelate is hit with this then she returns to a flimsy 1/3 creature. Even without this glaring weakness, the deck doesn’t seem to be faring too well in the Rise of Shadows meta, but it does make for a fun alternative to try in Paladin. So, if you’re thinking of giving it a go, we’ve got the best deck list you can play right now. Further on, you’ll find more detailed strategy and combo advice so you can hopefully bump that win percentage up a little more. If the deck suddenly sees a surge of power, we’ll be sure to return to update this guide. Here is the version of Immortal Paladin that’s seeing the most success on ladder. It’s definitely not the best deck to crop up in the Rise of Shadows expansion, so run it at your own risk! Immortal Paladin is a control deck that aims to keep your opponent in check while building up a bulky Immortal Prelate using all the buff spells available to the class. Even when that creature is killed, it will simply be returned to your deck with all those enhancements while waiting to be drawn and played again. Over time, it should be too much for your opponent to handle as they run out of removal for a creature of such huge size. It’s an excellent plan, in theory, but the execution is often a lot more wonky than you would like. Nevertheless, the deck is also filled out with a number of powerful cards that can give you other potential win conditions should you need them. The many control options in Immortal Paladin also mean you can sometime starve opponents of resources and win by heading into the Fatigue game. Unglamourous, but whatever gets the job done! - Before playing Flash of Light or Lay of Hands try to have Crystalsmith Kangor on the board to get some seriously strong value out of those healing spells. - There are many buff effects in the deck you can target on Immortal Prelate, including Lightforged Blessing, Sound the Bells!, Blessing of Kings and Farraki Battleaxe. - Another way to get a healthy buff onto Immortal Prelate is with Call to Adventure. You’ve got to ensure it’s the only two-drop left in your deck to guarantee the buff landing but it can make the minion more of a danger when first dropped onto the board. - Whenever Acolyte of Pain takes damage it’ll draw an extra card from your deck. If its Health is buffed you can use it for even more card draw. - With many of the high mana-cost spells in the deck you can get some impressive value from Spirit of the Tiger to summon some threatening token creatures. - Once Immortal Prelate has been reshuffled back into your deck after being killed, you can draw it out immediately once again using Countess Ashmore. She also has the ability to draw Crystalsmith Kangor and Zilliax at the same time! - Another potential win condition in this deck is with Shirvallah, the Tiger. With all the spells you’ll be casting its mana cost should get reduced quite drastically and set you up for a big tempo swing in the late game.